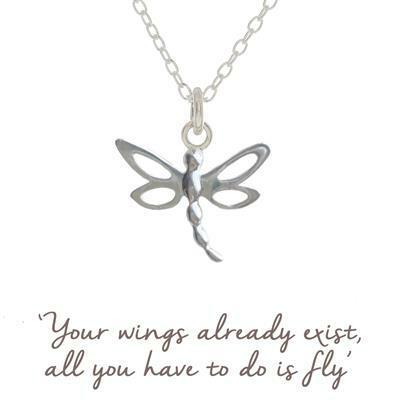 This beautiful necklace from the Mantra collection is made from 925 Sterling Silver. The dragonfly represents grace, elegance and skill. Wear this necklace to unlock the awesome powers and abilities you have inside you, if you only have the confidence to use them. Packaging: This necklace is packaged in a Mantra box with its meaning card.